• Walk on roof (when possible), check shingles, chimney, flashing, roof structure, gutters, vents, etc. A detailed report with the condition of the items above will be provided after the inspection is complete. 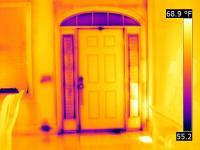 Using a Thermal Camera we are able to identify defects that may not normally be visible during the inspection. This includes plumbing leaks, over heated electrical breakers and circuits, moisture penetration and energy loss. 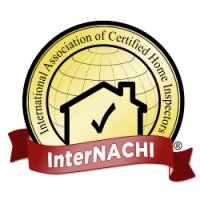 We include a basic review of your home using a thermal camera with every inspection.